Diamante Custom Cleaning - Cleaning Services based in London, Greater London. Diamante Custom Cleaning Ltd are a customised domestic and commercial cleaning company that pride ourselves in giving our clients an affordable cleaning service. 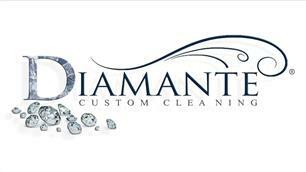 They say Diamonds are a girls’ best friend, and us here at Diamante Custom Cleaning, aim to become your company's best friend, by providing a shining and gleaming professional service to all its’ customers. We do end of tenancy cleans, after builders cleans, after events cleaning, garden clearing, domestic and commercial cleaning, office cleaning, oven cleaning, window cleaning, carpet & upholstery cleaning, car washing, ironing etc. We design a bespoke cleaning schedule for your home or office based on your needs, cleaning budget and requirements. We are a registered local family run business that is committed to providing an exceptional service within our local community and Nationwide. We offer flexible services, excellent value for money and experienced, trained cleaning staff. We are fully insured with ‘Simply Business’ and have full Public Liability Insurance up to £1,000,000 and employer’s liability insurance up to 10,000,000 which also includes personal accident. Our rates are competitive, for household and office cleaning, for end of tenancy cleaning and after builders cleans. We also take on estate cleaning and care home cleaning. All jobs are different, so each job will be priced according to size, cleaning requirements and initial condition of the job. Croydon, Forest Hill, Sydenham, Peckham, Nunhead, Dulwich, Deptford, Lewisham, Brixton & Clapham, Stockwell, Vauxhaull, Balham, Tooting & Streatham.